Most people go to the movies to feel entertained, but I seek wisdom in cinema. So while in Doha, for their annual Qumra film industry event, I found some great inspiration thanks to their Masterclasses featuring filmmaking greats Agnès Varda, Eugenio Caballero, Alice Rohrwacher, Pawel Pawlikowski and Kiyoshi Kurosawa. OK, so the 90-year old Godmother of French New Wave cinema never made it to Doha for her Qumra Masterclass, due to health reasons. But in that gesture right there, to trust that the talk conducted by the great professor and former programming director of the Film Society of Lincoln Center Richard Peña would anyway do her justice, she taught a valuable lesson. 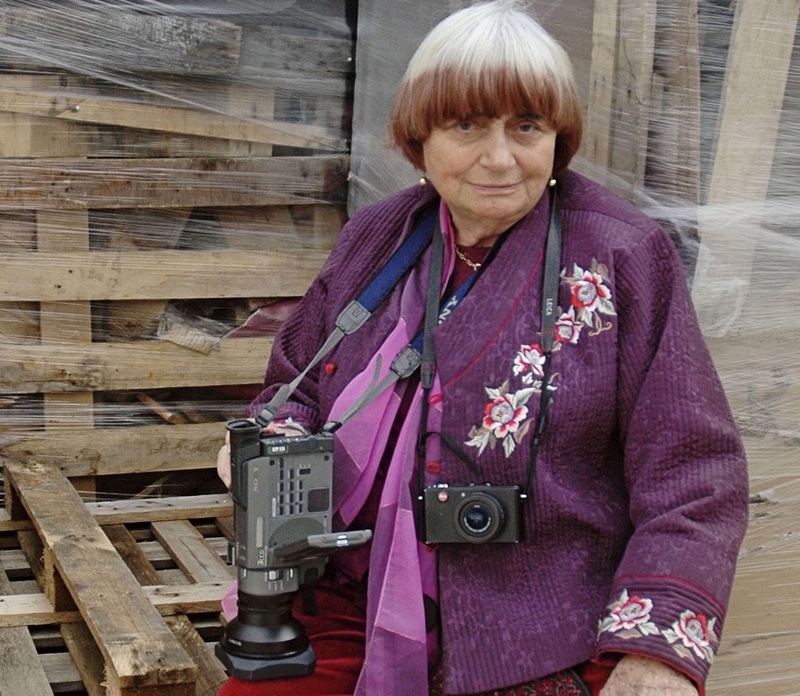 Because Varda was safeguarding her wellbeing as a woman and human being and that should always be our first priority. We don’t often trust in our personal power to say “no, I can’t.” It’s a power of control that we too often give away as women, and actually, had Varda been there for her Masterclass she probably would have taken focus away from her incredibly beautiful and meaningful work. Which stands alone without the need to hear her justify it. And with the insightful Peña taking the audience through a wondrous journey of her work, chronologically, I learned to admire her even more. From the Oscar-winning production designer of ‘Pan’s Labyrinth’ Eugenio Caballero, who was most recently nominated for an Academy Award for his work on Alfonso Cuarón’s ‘Roma’, I learned about risk. During his talk, he revealed that he acquired knowledge of his craft from doing the work rather than attending classes, and also mentioned the power of cooperation in filmmaking. He further disclosed the importance of communication since art design remains just a drawing on a board if you cannot get your point across to the folks building the set. But Caballero’s most beautiful lesson was held in a short sentence he uttered halfway through his Masterclass. “If you protect yourself, you are not pushing the boundaries,” he said, regarding his work on fantasy drama ‘A Monster Calls’. How many times we adjust ourselves to fit into the world around us, when instead we should be risking it all so we have a slight grasp at that elusive joy? His words made me tear up and I know I walked away from his presence refreshed and with a renewed feeling of personal belief in the power of taking risks. Polish filmmaker Pawel Pawlikowski won a Foreign Language Oscar for his film ‘Ida’ in 2015, and this year, once again, was nominated for an Academy Award for ‘Cold War’. His haunting, often in B & W films take the audience on a languid journey where his protagonists experience the perils of love. While Pawlikowski claimed, during his Masterclass that he believes in love, to an outsider looking in, his work seems that of someone quite skeptical about true romance. In the 2011 film ‘The Woman in the Fifth’, Pawlikowski tackled a novel, the kind of book one finds on airport newsstands, disposable literature. The movie should have been a genre film, and yet the filmmaker admitted that “while I was doing it, I cut out all that was genre about it.” Within this process, Pawlikowski discovered a personal truth that, “getting away from my stuff became strangely personal.” While the filmmaker typically writes his own films, this was a lesson in accepting someone else’s words and in the process, finding himself. In those moments of personal struggle I shall remember his words and concentrate on those near me and around me. To forget myself and yet find myself again. The other is always us, and vice versa. The wisdom and spirit of Japanese horror filmmaker Kiyoshi Kurosawa were apparent at this year’s Qumra. He spoke in excited tones and seemed inspired by the audience’s interaction and his talk’s mediator — French journalist, critic and film historian Jean-Michel Frodon. But while his answers went on and clearly divulged, to Japanese speakers, a whole array of insider’s info and secrets, once translated, they turned into simple statements. At best, technical advice or matter of fact explanations. Alas it appeared all lost in translation. So my personal lesson from Kurosawa has less to do with his Masterclass and more to do with the way we communicate with the world at large. While our conversations most often don’t involve someone speaking a different language, they definitely happen online, through emails and WhatsApp messages that leave room for misunderstandings. Kurosawa taught me about the importance of words, but also how much communication is in our body language, how we shine when we talk about something that inspires us. And perhaps we should try to do more of our communicating person to person, instead of over the World Wide Web. Just so we are clear about what we mean, because even though Kurosawa didn’t speak a tongue I understand, his language of cinema definitely spoke to me. So many times we stop ourselves from doing things because we lack the courage and in the process, miss out on life-changing opportunities. Now, I know from publicist friends that Italian award-winning filmmaker Alice Rohrwacher dislikes giving interviews and talking about herself. She also struggles with her knowledge of English and every time she’s interviewed by foreign press, will have a translator present. This is a woman who declared herself “too shy” to make documentaries, in a recent interview with yours truly. But in Doha this year, for her Masterclass, even though a translator was beside her on stage, she gave the entire talk in English! And she talked about herself without apologies. From Rohrwacher I learned personal courage, because we all know that it’s not about lacking fear, but rather the ability to overcome it, and go on despite our self doubts. She was candid, personal, even quite funny when at one point, as I raised my hand to ask her a question from the audience, she declared, “she want to know who my English teacher is, so she can have the same!” Yes, Rohrwacher spoke with a thick accent, in an almost broken English at times, and yet her Masterclass was the one I remember most deeply — most personally. Because this Italian-German filmmaker whose credits include ‘Heavenly Body’, Cannes’ Grand Prix winner ‘The Wonders’ and ‘Happy as Lazzaro’ (the latter you can watch in the US on Netflix) gave of herself in it. All of herself, without fear.